With rapid digital technology advancement, website or applications have started playing an important role in the success of a business. Just like a brick-mortar business needs re-stocking, cleaning and customer friendliness, a website also needs to run fast and be efficient. In order to be fast and efficient, it is important that a website is fast and there is no downtime. According to industry research, there is a clear relationship between website load and customer conversions. The faster a website loads, the more likely it will attract customers and bring conversions to the business. The slower a page, the less likely it will engage customers and bring value to the business. Therefore, it is fundamentally important to track load of your website, as more load is directly proportionate to less business. A critical part of the performance strategy is to be prepared for the instances or days like Black Friday, Cyber Monday and other important days when the website is expecting higher amount of traffic. If a website volume stretches to beyond the limits, it can lead to a breakdown. By this incident, customers would not access your services, and new customers would have a poor impression of your brand. The best strategy for businesses to avoid any such incident to occur is by employing a load testing strategy. 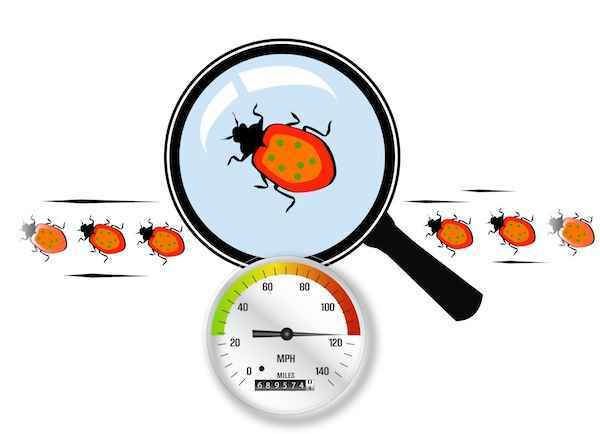 In order to employ a load testing strategy, companies have to opt for load testing services from a renowned software testing company. Let us identify what advantages a perfect load testing strategy can bring on brands. These days, systems are made with an end user approach, and no user is willing to wait while the system is loading or taking a while to open. Due to the delay, businesses lose their customers and their brand image also gets spoiled. One of the possible consequences of system overload is reduced speed and poor functionality. With load testing, you can anticipate the load, i.e. the number of users that will visit your website on the peak days and normal days and how the system will respond. A system crash can be disastrous and may cause further damage to the brand image and reputation. The website or application cannot stay down forever; proper steps need to be taken to rectify the problem sooner or later. Proper load and stress testing routine if followed before the website launch can anticipate and mitigate the system limits and avoid any mishaps. The three major aspects to consider while testing the performance of a website or application is its response time, throughput time, and utility levels. If the website is not able to achieve these elements, system breakage is inevitable. But, the question arises, how you would test for the three metrics. The answer is through proper load testing. Once you know your website or system, you can stay on top of things when system performance goes below the anticipated levels. There are a variety of tools to perform this, and they are divided into two categories paid and open-source. The main example of open source tool is Selenium, and for the tool is LoadView. With continuous load and stress testing of the system before its launch can save your business from losing its customers. The resources can save themselves from spending man hours in rectifying system problems and retain the system's efficiency during peak hours as well. This way, businesses can be hustle-free and expect fewer problems. I work as a Senior Testing Specialist at TestingXperts. I handled day-to-day operations for all aspects of software testing. With over 7 years of professional experience I know how to build strong connection with the clients and testing capability. QA Testing plays an important role in the development of new IT programmes and many every day products, like cars and electronic goods.